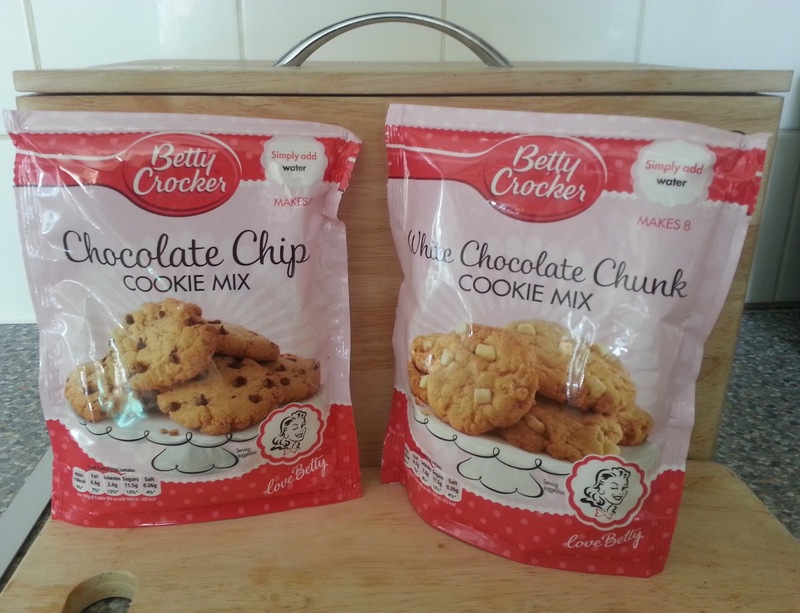 I am a massive fan of these little cookie mixes, by Betty Crocker. 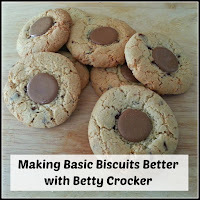 I'm actually a huge fan of Betty Crocker in general. The tubs of icing are so convenient and last for ages, even when they've been opened. I use them all the time in my quick mix recipes, like this quick mix sponge cake. If you are entertaining though, or want your cookies to look a bit more 'homemade' (ahem), they can seem a bit, well, flat. Here a couple of ideas to pep them up a bit, without really making much effort, because you want to save all your energy for the eating part, don't you? So today, we tried out a couple of ideas to make the biccies a bit more interesting, and even more delicious. First of all, let me explain to you just how easy they are to make. Unlike some cake or biscuit mixes, where you need to have other ingredients, such as eggs or milk, to hand, these sachets require just two tablespoons of tap water. Add that to the fact they retail at roughly £1.50 each, and I highly recommend keeping one in the cupboard for when spontaneous baking is on the cards. Late night munchies, entertaining small relatives, unexpected guests, you know the kind of thing. 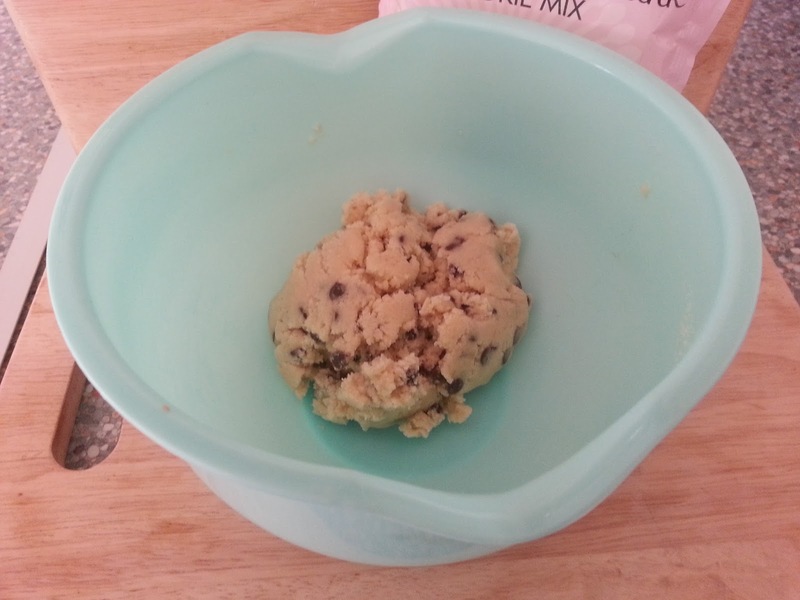 When you have added your water to the contents of the sachet, all you do is mix it fairly vigorously, as if it were the insides of someone you are truly not keen on, and shortly afterwards, it will look like this; a lovely, smooshy cookie dough. 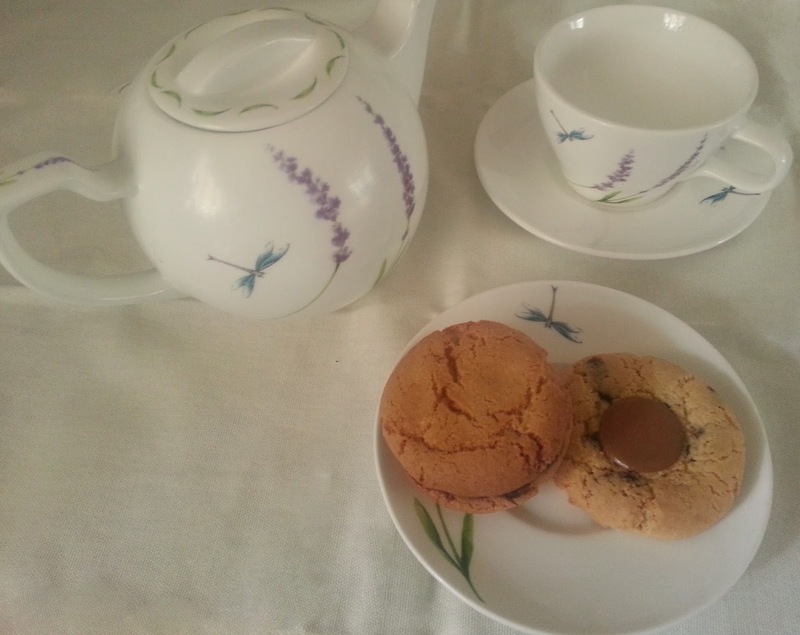 The sachet makes eight, so to get more or less equal sized cookies, just divide the dough into two, then divide those parts into two and do that again, until you have eight small dough balls. Place on a baking tray and flatten slightly, for a nice, thin, crisp cookie. 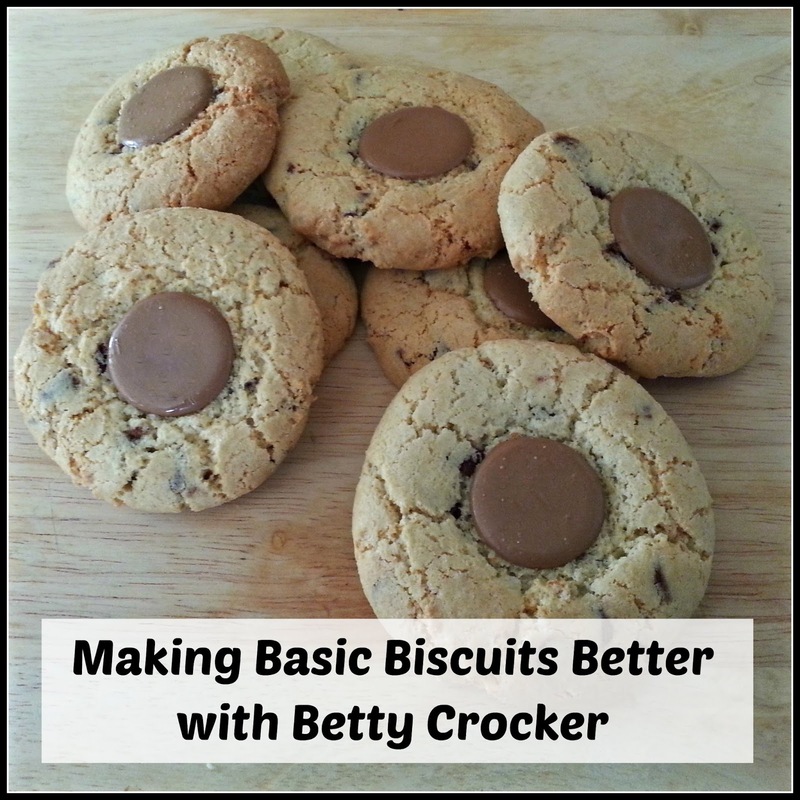 They bake in just ten minutes and there is hardly any mess or washing up involved! 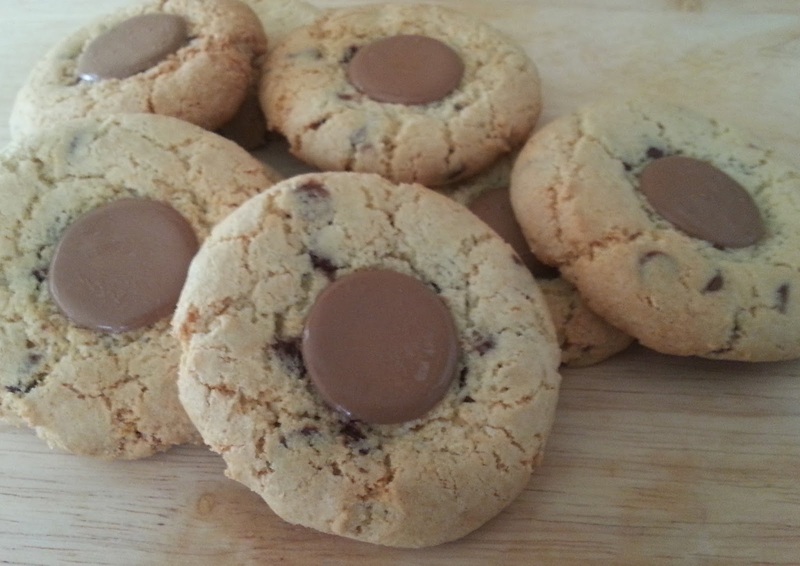 Just before I popped the cookies into the oven, I pressed a large chocolate button into the middle of each one, just to make it look a bit different. The result was delicious, as they were still warm when we tried them, so the chocolate had a slightly melty texture. I also made some white chocolate cookies at the same time, which I sandwiched together with a little Betty Crocker Chocolate Fudge Icing. These were also yummy, and looked pretty special, considering how easy they were to make! Both of these ideas were really fun and easy to make and would be more than acceptable to serve for any occasion, or donate to the school fete or fundraiser. No one even needs to know they started out life as a simple packet mix. Ssshhhh, your secret is safe with me! So easy to do - and they look delicious too! We love Betty Crocker icing, but we haven't tried the cookie mixes. I love things like this for getting the kids cooking when I don't have a lot of time or patience! 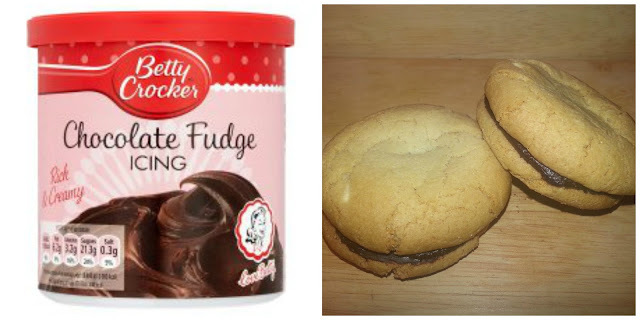 We love Betty Crocker cookie mixes in our house. So easy and so yummy! I always have one of these in the cupboard for emergencies. Yes, biscuit emergencies ARE a thing, well in my house anyway! Love the idea of sandwiching them with icing! Yum, they look delicious!! I love Betty Crocker products, they're always such great quality. These look delicious! They also look very easy to make, so perfect for summer holiday baking. three of my favourite things all in one. biscuit, chocolate & fudge. whats not to love?? Wow. I must try this with my little girl. Looks delicious. I've never tried these but they look delicious!